After winning Mumbrella's PR Agency of the Year award two years running, Red Agency's CEO James Wright speaks out about the evolution of the agency, growing pains, pitching secrets and how to fight the mould of traditional PR. Having a successful PR agency in today’s media and advertising landscape means learning from your mistakes, hiring the right people and not trying to please everyone, Red Agency’s CEO James Wright says. For Wright, winning Mumbrella’s PR Agency of the Year for the second consecutive year and building the foundations for an award-winning agency all started with “hiring and retaining the right people”. “You can have the best strategy in the world, but if you don’t have the right people around you to deliver it, it’s going to be pointless,” Red Agency’s CEO of seven years says. In an era where PR includes social, creative, influencers, media relations, publicity and more, Wright says he learnt a great deal from being a young managing director at Grayling in London. “I made mistakes, the key is you learn from it and want to create an agency where things happen that people don’t get upset about. Wright tells Mumbrella there have definitely been learning curves throughout the hiring process because, with such a large agency, things are never going to be perfect. Despite this being the first step to building a multi-award winning agency, Wright says the industry is suffering from “an acutely huge talent shortage”. “This is what makes keeping staff really important”, the CEO of Red Agency adds. Wright, who was previously the group chief operating officer at Havas, said if agencies are going to make mistakes with hiring, “fail fast”. “Arrive at that conclusion quickly because we can’t carry passengers in this game,” the agency boss says in regards to hiring talent who may not be the right fit for an agency. The pitching cycle is another hurdle the PR industry is currently facing, but is nevertheless a critical part of maintaining a thriving, healthy agency and attracting desirable talent. Over the Mumbrella Awards judging period, Red Agency managed to secure new clients including Toyota, Vivid, Neoen, Bio-Oil, and Booking.com. The PR firm also launched a new experiential agency, Village Blvd, during the 12 month judging period. Since then, the agency has gone on to win Avis Budget Group, South Australian Tourism Commission, TrustedHousesitters.com, Chemist King, Pharmasave, Cordon Bleu and Taxi Council Queensland. Recently promoted as the global chairman of Havas PR Collective and the CEO of Havas PR for North America, Wright says deciding on what business the agency pitches for comes down to “fun, fame or fortune”. Wright says the business needs to be at least two out of the three to maintain a strong agency culture and make pitching for the account worthwhile. Wright says Red Agency – whose clients include Toyota, Avis Budget Group, Coca-Cola and Qatar – makes pitch decisions based on experience, capability and whether or not the brand is the right fit for the agency. Sometimes, however, you have to take a punt, says the agency boss. Wright did warn that in the industry the word does get out on who the more difficult clients are, which helps the agency make decisions on what business it pitches for. Wright says the agency has managed to hold a strong client portfolio over the seven years and avoid falling victim to the vicious pitch cycle in PR because of the different Red Agency teams across Melbourne, Sydney and Brisbane. 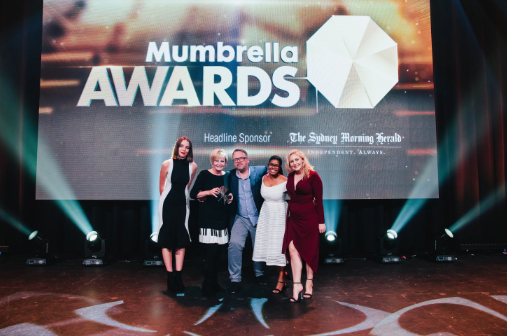 Reflecting on how the agency managed to win Mumbrella’s CommsCon Large PR Agency of the Year three years in a row as well as continuing to add new clients to its roster, Wright notes: “We’ve not come and gone, we’ve stayed there”. Being a constantly high performing agency isn’t always easy, the CEO says, noting agencies really need the “appetite” to work hard. Being a well-known agency is an inevitable precursor to scrutiny, however Wright argues it is better people have an opinion about the agency than no opinion at all.